Today would have been my paternal grandmother’s 129th birthday; she was born in High Falls, New York on May 31, 1883. 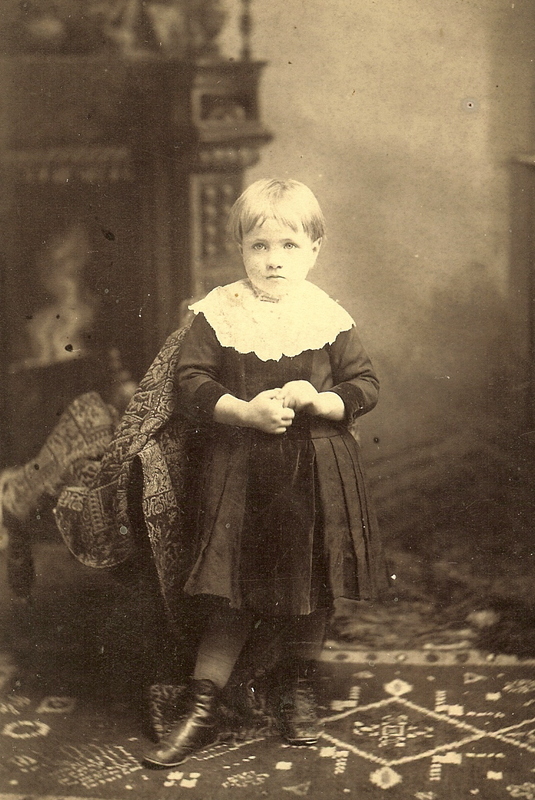 I do not know much about my grandmother; she died in 1927 when my father was just 9 years old. Yet I sometimes feel a connection. In addition to carrying my grandmother’s name, Elizabeth, as my middle name, I share a vocation with her. 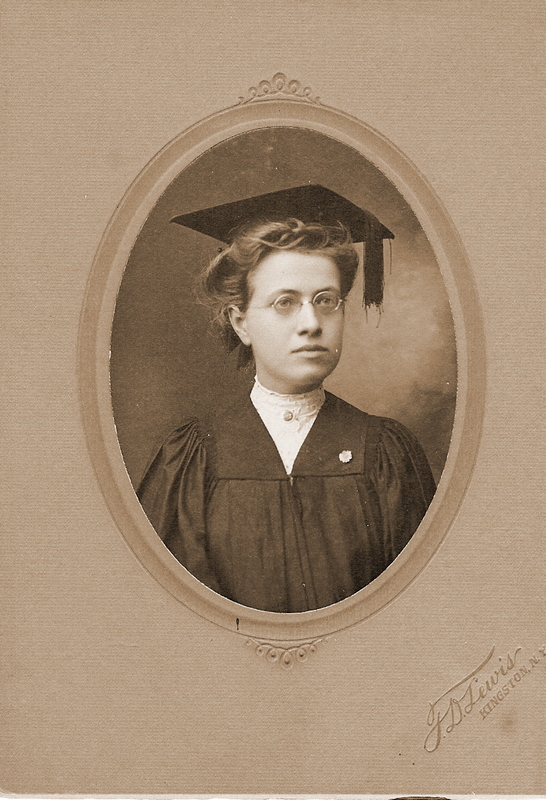 Elizabeth Antonia Duym graduated from New Paltz Normal School in 1905 and was, by all accounts, a teacher in or near High Falls until she married my grandfather in 1913. What levels or subjects she taught are a mystery that I have not yet uncovered. Records are hard to come by as a fire at the Normal School in the early 1900s destroyed most of the documents that could possibly reveal what she prepared for. What impresses me, however, is that my grandmother and her younger sister both went to normal school (college) in the early 1900s – I would imagine that to be unusual for two women, daughters of immigrants from a small New York village. I often wish I could ask my grandmother about her growing up years — and how she became a teacher. What was it like to teach in the first decade of the 20th century? Questions without answers except when a genealogical find lifts the curtain of history to reveal some small detail of everyday life. We share other connections, my unknown grandmother and I. Elizabeth’s middle name, Antonia, is derived from both her father’s name, Anthony, and honors a brother also named Anthony who died in infancy. My middle name honors hers. Cancer had an impact on both of our lives; hers cut short by it and mine has been spared through advances made my medicine. I wonder what my grandmother would have thought of all of that has changed since 1883. Of course, even given a long life on this earth, she would no longer have been with us. But the connections endure and the questions as well.